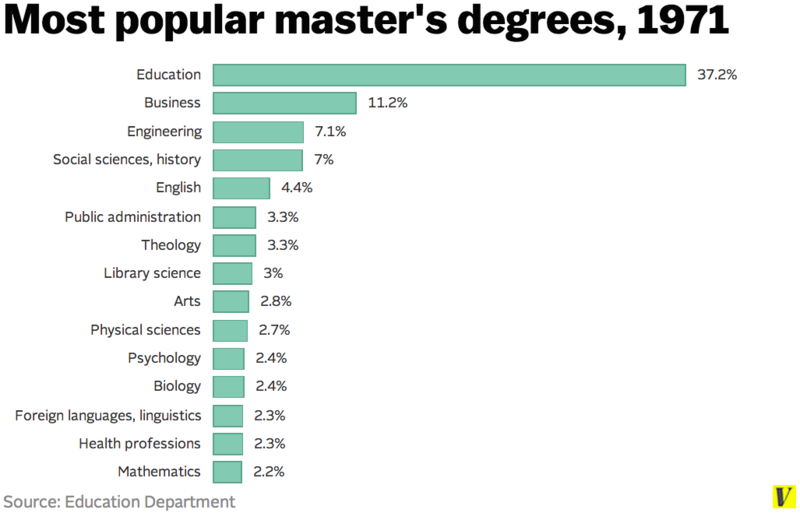 Master’s degrees are “as common now as bachelor’s degrees were in the 1960s”. 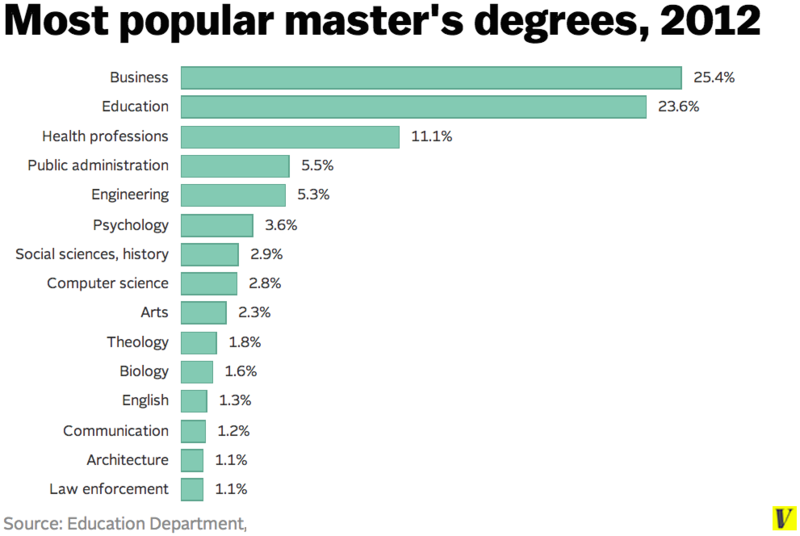 Forty years ago education was far and away the most popular major for a master’s degree, but today business has taken that spot. Are graduate programs exacerbating the student debt problem? 40% of all student debt comes from graduate degree programs,“even though graduate borrowers make up only 17 percent of all borrowers”. Expanded loan forgiveness programs are “tailor-made for graduate students”. Graduate students usually get their money’s worth. … Almost regardless of undergraduate major, a graduate degree boosts earning power even further, according to the Georgetown Center on Education and the Workforce. 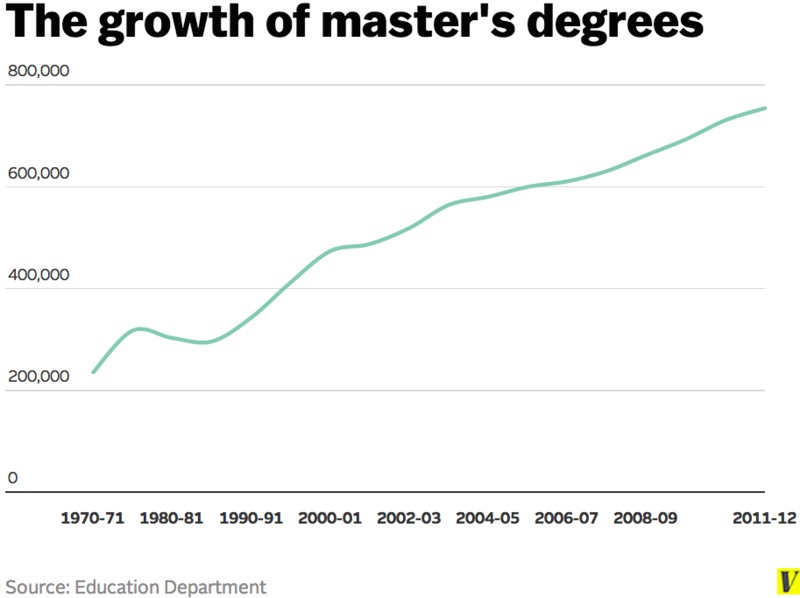 But does this proliferation of master’s degrees produce wasteful ‘credential inflation’? Libby Nelson, “Master’s degrees are as common now as bachelor’s degrees were in the ’60s”, Vox, February 7, 2015. Susan Ferrecho, “The surprising winners of Obama’s student-loan program”, Washington Examiner, June 12, 2014. Reblogged this on College Cost Probs.